VW previewed autonomous tech ideas with the Sedric concept at the Geneva auto show in March. VW CEO Matthias Mueller is pictured sitting in the vehicle. DETROIT -- Volkswagen Group is preparing for a steep learning curve in the transition to autonomous, electric and connected vehicles. At the Technology in Motion conference here Wednesday, Burkhard Huhnke, VW's senior vice president of e-mobility, said the automaker expects it will take years to get new vehicle technology "nearly to perfection." Volkswagen is planning to introduce the first vehicle in its new electric and connected vehicle product line in 2020, but Huhnke said the automaker will need to continually refine and update its mobility offerings to be competitive. "The car is something we've done great in the past 100 years," Huhnke said. "Where we have to learn is the mobility services ecosystem." Specifically, VW is developing a flexible electric and connected vehicle platform, known as the modular electrification toolkit, which could potentially be used in services such as car sharing and ride hailing, and over-the-air updates. It also launched Moia, a mobility services company, in December. In January, VW said it was testing remote software updates as a way for consumers to try out different features when buying a car. Huhnke said over-the-air updates could also be used to activate or update new car technologies. "We realized you need to have the chance of continuous updates to keep your car fresh, even activating cruise control or an autopilot feature, this is the platform we're going to be providing in the future." 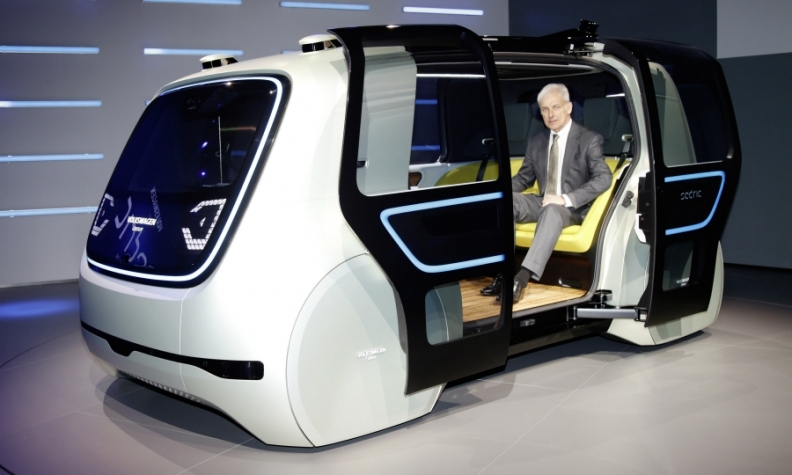 While Volkswagen and other automakers envision a high-tech driving future, Huhnke said the industry still needs to address the gap between expectations and what is possible. "We need to overcome the gap between requirements and reality," he said. "Traditional business is not flexible enough to adjust to the new-thinking world of fully connected, smart sustainability and intuitive usability."